Dreams are made to be followed. Life is meant to be lived. Some books are meant to be read, loved and passed on. 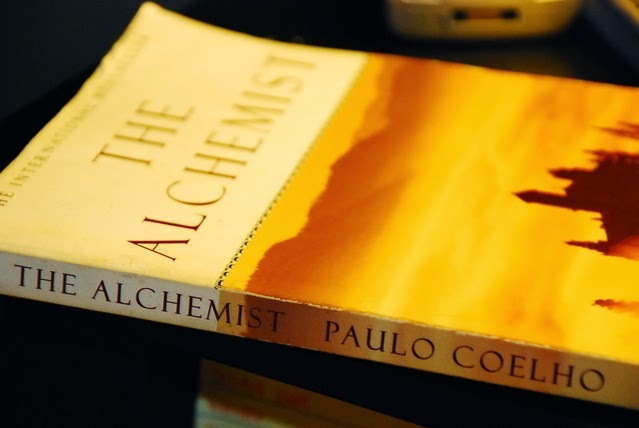 The Alchemist is one of those books. It is an unforgettable story about the essential wisdom of listening to our heart and, above all, following our dreams. This book was a revelation. I have lost count of the many times I cried while reading it. I cried at the realization of the truth in its words. It was overwhelming. I shed happy tears on coming across sentences that made so much sense in my life. I saw everything from a different perspective, and I’m immensely thankful for that. And throughout the reading I kept scribbling in my diary, notes to self, and thoughts to remember. This reading experience felt like healing from some invisible scars. Paulo Coelho’s words translated by Margaret Jull Costa tell a fable about following your dream, something that perhaps most of us already know, but still instill courage and contemplation. The very fact that it has been translated to about 72 languages worldwide, and has sold more than 65 million copies, tells that there are more dreamers out there than we can possibly ever imagine. I am not alone. You are not alone. And the entire universe is conspiring to bring to you what you desire the most. From being a shepherd to meeting the king to trying to understand the language of the universe through omens, the story of the boy changes its course soon enough to keep us readers interested and intrigued. The boy is brave and courageous to embark upon a journey to realize his dreams. The two black and white stones guide him to his destiny to a thief, the crystal merchant, the Englishman in the caravan, Fatima- the woman of the desert, and finally the alchemist and the ultimate treasure. The journey taught him so much. The life in the desert, in the caravan, and at the oasis provided him with the much wanted experience of a lifetime. He learned to live in the present, tapping into every moment and living it completely without worrying about the future. And the final scene, the near destination was very overwhelming, choking me with a multitude of emotions. When the boy reached the top of the dune, and beheld the majestic Pyramids of Egypt illuminated by the light of the moon, he fell to his knees and wept, thanking God for making him believe in his destiny. This novel is not to be read in one go, or one sitting, but little by little. Just read a few pages every day, understanding, believing, and having faith in every thought that’s a part of the boy’s conscience. The only thing that I don’t understand is why the book is not named after the boy but the alchemist- why not the journey but the destination.